Tuckahoe is currently open. We close at 9:00 PM. *MEMBERS* A reminder the Club will be closing at 5:00pm on Saturday, April 20th, and will be Closed on Easter Sunday, April 21st. Tuckahoe will re-open on Monday, April 22nd at regular business hours. HAPPY EASTER! Tuckahoe Recreation Club is a unique, year-round private recreation facility that offers its members a healthy family environment with many outstanding facilities and activities for everyone in the family to enjoy. **Members** Due to inclement weather Tuckahoe Recreation Club will be closed on Wednesday February 20, 2019. Stay safe on the roads! **Members** Tuckahoe will be closing at 5:00PM this evening 1/29/19 due to inclement weather. Please get home safe this evening. 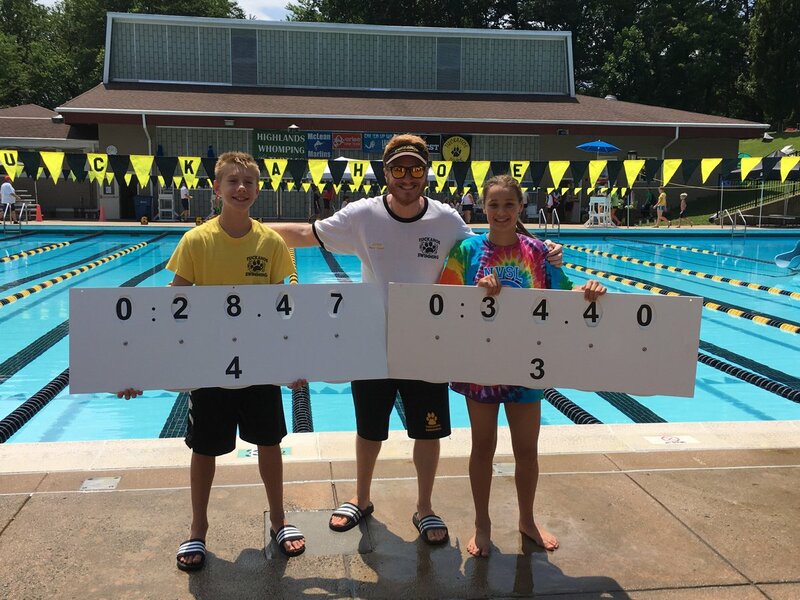 It's time to register for the Tuckahoe Spring Dive clinic! Members, please register by February 5, 2019. Non-members, please register after February 5th. Space is limited. You can email the form or if you would like your spot to be saved to tuckahoediveteam@gmail.com. Thanks! Members : Please be advised the Winter Swim program is cancelled this evening due to pending inclement weather. Tuckahoe may be closing early this evening and/or opening late tomorrow due to weather. Please watch our website banner for updates by 7:00pm on hours of operation. No Machine Aquatics today, so the indoor pool will NOT be closed from 3:30pm - 5:30pm. Hope you can come and enjoy the open lanes. *Members* Tuckahoe will be opening at 12:00noon today, Monday January 14, 2019 due to weather conditions. Please be safe as you travel out onto the roads. *Members* Tuckahoe Recreation Club will be on a delayed schedule tomorrow morning, Monday January 14, 2019. We will not be opening at 8:00am, and we will update the website at 10:00am if we will be opening at noon. Thank you. Members: Due to the weather conditions, Tuckahoe Recreation Club will be closed on Sunday, January 13, 2019. Thank you, and stay safe. Merry Christmas, Happy Holidays, and Happy New Year to all from the staff here at Tuckahoe. Recreation Club. REMINDER TO MEMBERS: TODAY, CHRISTMAS EVE, TUCKAHOE CLOSES AT 5 PM AND REMAINS CLOSED UNTIL NORMAL OPERATING HOURS ON WEDNESDAY, DECEMBER 26TH. Locker Rooms will be switched tomorrow 12/20/18 for maintenance. We apologize for any inconvenience this may cause. Thank you. 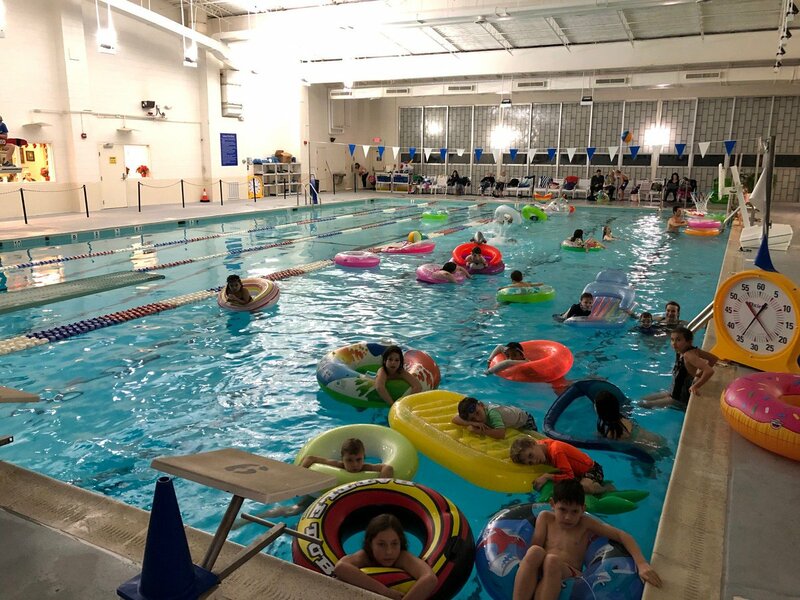 Our Flick 'n Float was a big hit last night with 25 kids and as many adults to watch The Incredibles 2 movie. Come next Sunday at 2 PM for The Polar Express followed by Santa, who'll be looking for his lost presents. Remember this afternoon's Flick 'n Float movie at 5 pm featuring the movie "The Incredibles 2". Bring your own 1 person float or use one of our float rings. See you later today. Tuckahoe Members! The Sauna in the men's locker room is temporarily 'out of order'. Parts are on order, and the sauna should be up and running again in approx. 5 days. We apologize for any inconvenience this may cause. To all of our Veterans out there who claim Tuckahoe as their club of choice, THANK YOU!. Hope you had a wonderful Veteran's Day today. To all those whose family members are Veterans, THANK YOU as well, for letting and/or encouraging your loved ones to serve their country. Tomorrow is the big day when you'll get a chance to experience Tuckahoe's first ever Fall Harvest House made especially for kids. 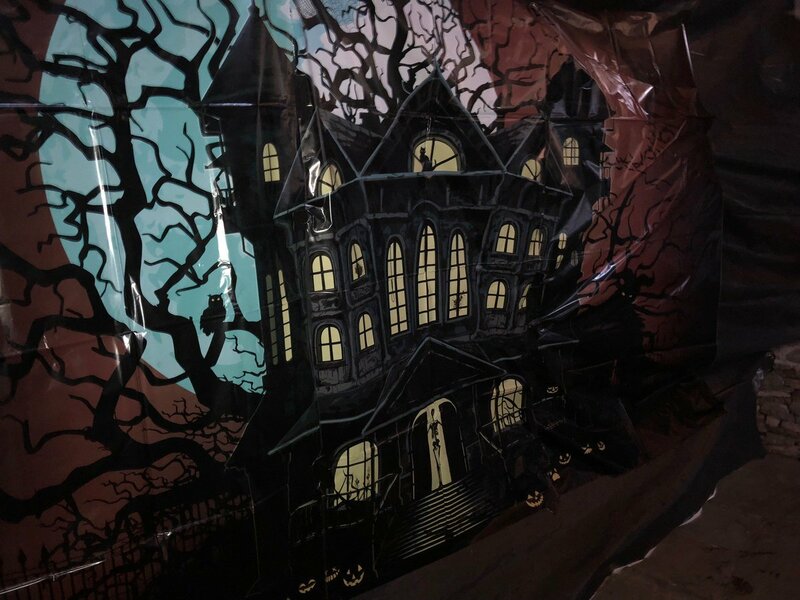 The fun begins at 4 PM and so does our special Halloween showing of Hotel Transylvania 2. Come join the fun! Greetings Tuckahoe Community! With rain coming on Saturday, *Halloween at Tuckahoe has been postponed* We have a *NEW DATE AND TIME* Saturday, November 3rd from 4:00–6:00pm. So, go and collect your goodies on Wednesday, and on Saturday come back out in your costumes to Tuckahoe! Please come by and meet Mary Austin, our Personal Trainer! She will be giving two informational sessions in the weight room to answer questions and demonstrate using the work out machines. Saturday, Nov. 10 at 11:00am, and Tuesday, Nov. 13 at 6:30pm. Hope to see you there! **Reminder** Due to the Columbus Day Holiday on Monday, there will be no swim lessons on Sunday, 10/07/18. Thank you! Tuckahoe is pleased to announce a free one-hour Yoga class with Leah DiQuollo, Sunday, September 30th at Noon. Leah teaches Yoga on Thursday mornings from 9:30-11:00. You can check out the Yoga schedule on our website, which has been revised to provide faster downloads! Got about 14 kids come out for the indoor movie tonight. Sorry if you missed out. I think we might make this a habit once a month. Let us know if you'd like us to do so. Dear Tuckahoe Members, we had a great Labor Day crowd yesterday. Hope you could join us. 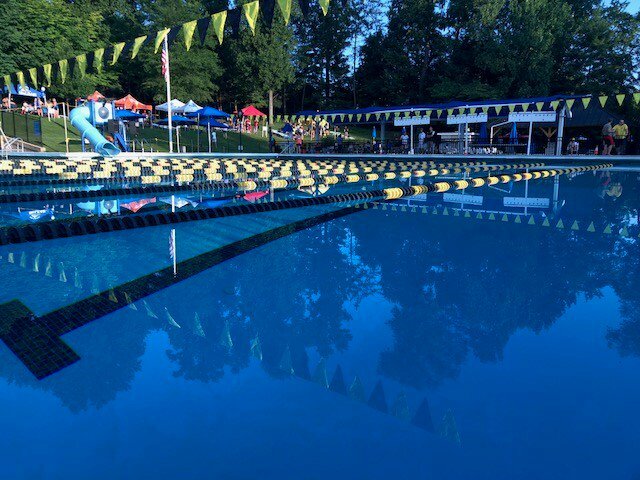 Remember that outdoor pool time isn't over just yet and this coming Saturday, Sept. 8 is Tuckahoe's first Triathlon in many years. Go to tuckahoe.us5.list-manage.com/track/click?u=c9a8502ea2&id=bb4b7fa2ba&e=a20f78a324 to register to participate. U.S. Open / Labor Day Tennis Social is going to be great...especially if you join in on the fun. Your name could be drawn for an authentic 2018 U.S. Open poster signed by Roger Federer this past week. Sign up at the Front Desk. Check out the website for further info. Fitness Center closed tomorrow for equipment painting; will reopen Sunday at regular time, 9 AM and on Monday - Friday, 6 AM - 9 PM. Winter Bath House will stay closed until next Saturday, September 7th, to allow for more painting to be done. Sorry for the inconvenience. Ok, all you Burger Chefs, bring out your best this Saturday for the first annual Burger Cook Off. You can bring your own burger to cook on the grill or let us provide the burger for you. The rest is up to you. See you at noon where you'll find a hot grill and hot competition! Tuckahoe Annual Indoor Pool Closing for Cleaning! 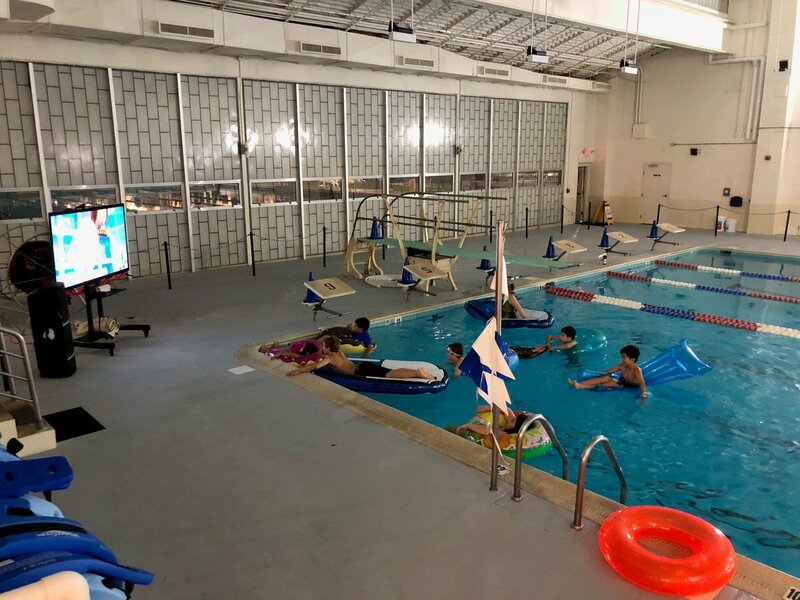 Starting August 18th through August 31st, Tuckahoe will be opening the Outdoor pool at 8:00am, Monday through Friday only during the two-week shutdown of the Winter Bath House Indoor pool for repairs and cleaning. *Correction* From September 4th through September 16th each pool will be open as follows: Indoor Pool – Open from 8:00 am – 12:00 noon Outdoor Pool – Opens from 12:00 noon – 6:00 pm Indoor Pool – Opens back up from 6:00pm – 9:00 pm Thank you. Outdoor pools have opened up with weather clearing. Due to the inclement weather, outdoor pools are closed for the rest of the day. Indoor is still open for swim. Tuckahoe Mgmt. Hey Tuckahoe Members, did you know you had some top level fellow swimmers and divers? Mani Borowski is just one, having claimed the #7 and #9 World ranking in individual and synchro diving respectively last week. While JT Ewing claimed the National ranking of 13 in back stroke. Saturday, August 4th, 4:00 PM: Intermediate pool is closed for next 3 hours. Sorry for any inconvenience this causes to our members and their guests. Calm before the storm as all @NVSL Division 1 teams get geared up to bring their best to @RecTuckahoe club to swim it out in the blue lagoon. 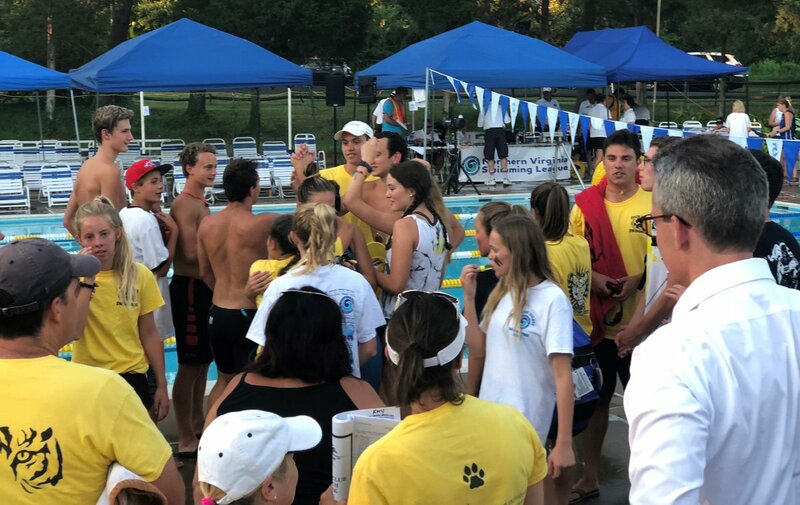 Divisional meet wraps up swim season as Catherine Hughes and Nolan Dunkel, swim faster than anyone in Northern Virginia ever has. Catherine sets new 50 breast stroke record in 34.40 seconds, while Nolan sets 50 fly record with 28.47 time. @rftwdmv, @swimninja, @swimnvsl. Dive team honors it's team members, coaches, and dive reps as well as reporting on the world junior dive championship results for Mani Borowski, who finished 9th in the WORLD for the boys 3m Synchro category! Congrats Mani and the rest of the Tuckahoe Dive team for a great year. Teddy Bear Tea - Big success yesterday! 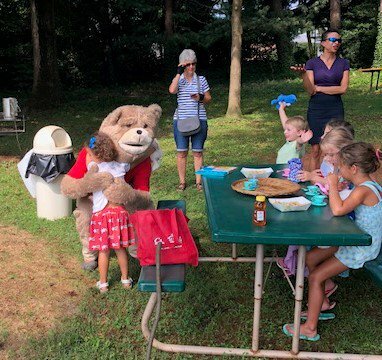 Sunshined graced the hillside allowing over a dozen children to enjoy some tea and animal crackers, while meeting Vinnie the Pooh, Winnie's cousin. Thanks to our hostess, Miss Patty Beard & to all the Moms who brought their little ones. Reminder to all members that the club will be closed until 4 PM this Saturday for the Individual Divisional meet. 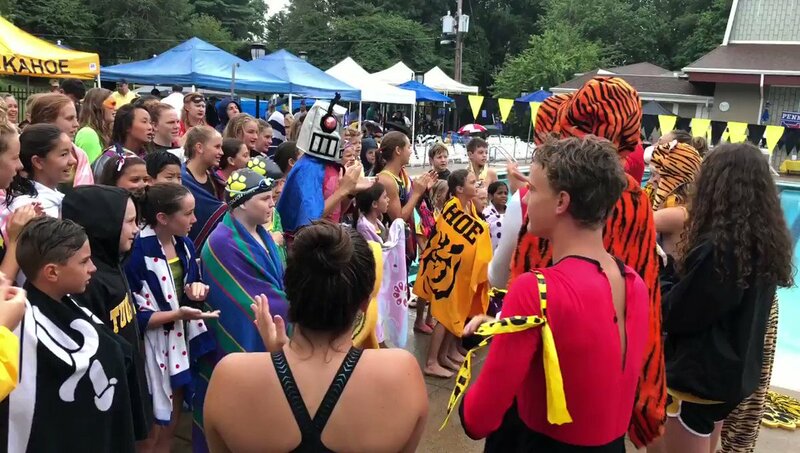 Tuckahoe has arranged for its members to be able to use both the Overlee and Highlands Swim Clubs for Saturday morning and early afternoon. Rallying the team for the last home meet against Highlands. Great energy and passion from the team. Young and old swim team members joined in the intermediary pool last week to have some fun and create some memories. Great time for all. Crab Feast last week held on throughout the rain...unfortunate for the crabs...great for those who attended. Just a reminder to our Tuckahoe membership and their guests: For the safety of all who attend the club, NO GLASS or CERAMICS are allowed on site. Accidental breakage of either could prove dangerous for anyone barefooted, whether on the pool deck, locker rooms, or hillside. Remember members that the club will be closed this Saturday until 4 PM due to the NVSL Divisional Meet. If the weather is good, we may be open earlier. Just check with the front desk after 2 PM. Reminder for all those teddy bear lovers: Teddy Bear Tea tomorrow at 10 AM and we've heard a rumor that Winnie the Pooh will stop by for a little bit. 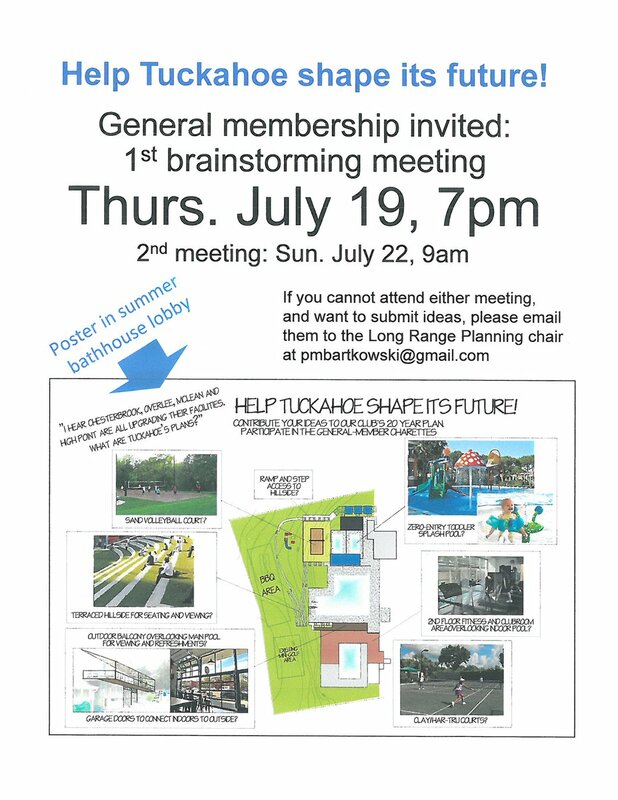 RSVP at membership@tuckahoe.net or gm@tuckahoe.net. No charge to attend. and all teddy bear fans are welcomed. This past Saturday's deluge of rain didn't stop the annual Crab Feast from a taking place with over 70 attendees. Hopefully, tomorrow,July 23rd, Monday's Swim Meet at 6 PM will not be so burdened with rain. Remember outdoor pool (large and intermediate) will be closed then. ***Teddy Bear Tea*** has been postponed to next Thursday, July 26th 10:00am. Please accept our apologies for any inconvenience this may cause. Please RSVP at gm@tuckahoe.net. GOOD LUCK TO ALL RELAY TEAMS TODAY AT ALL STAR RELAY CARNIVAL AT LINCONIA PARK!! If you have a Twitter account, follow @recTuckahoe and select "turn on mobile notifications" to receive our tweets as text messages. If you do not have a Twitter account, you can still receive text updates. Text "Follow recTuckahoe" to the number 40404.